Amazon is selling both the Samsung Chromebook Pro and Chromebook Plus for under $400 today. Chromebooks start to get really alluring when you’re paying rock-bottom prices—but those models are usually fraught with compromises. But here are two exceptions: Amazon is running a one-day sale today featuring two Samsung Chromebooks that are more than just your average clamshells. Both models have touchscreens, built-in pens, and USB-C for under $400. These Chromebooks are at their all-time-low pricing, and the sale prices expire tonight just before midnight Pacific time. First up is the Samsung Chromebook Pro for $400Remove non-product link, a nice discount as it typically sells for around $480 to $500. This convertible laptop has a 12.3-inch, 2400x1600 touchscreen, a built-in pen, a 2.2Ghz Intel Core M3 processor, 4GB RAM, and 32GB onboard storage. It’s also spill-resistant, and for ports it’s rocking two USB-C and a microSD slot. There’s no HDMI port, so if you ever want to hook this up to a TV or monitor you’ll need an adapter. 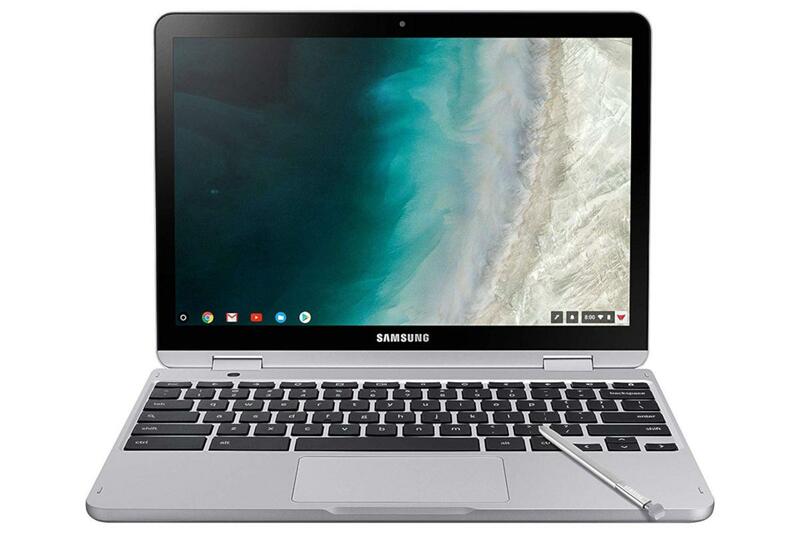 The second model is the Samsung Chromebook Plus for $380Remove non-product link, down from around $500. This is a 2-in-1 laptop with a 12.2-inch, 1900x1200 touchscreen, a built-in pen, an Intel Celeron 3965Y procesor, 4GB of RAM, and 64GB of onboard storage. For ports, it has two USB-C, one USB 3.0, a microSD slot, and once again there’s no HDMI. Both of these laptops use the Google Play Store, meaning you can install Android apps, and both appear to be on the list of devices compatible with running Linux apps. If you haven’t tried a Chromebook yet or want to upgrade your device to something a little fancier, head over to Amazon today.